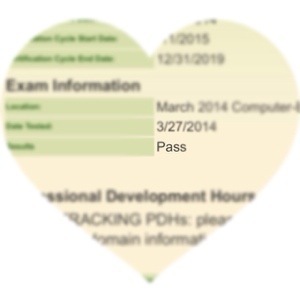 I was finally able to view the results of the Child Life Certification Exam I took back in March &… I passed! I am so happy and excited to be official! Now I’m really looking forward to attending conference! See ya in New Orleans, fellow child life-ers. What kind of questions were on the exam? Congrats!! I was wondering if you ever thought about posting study tips and techniques that helped you to prep for the exam? I am taking it soon and would love any advice you can offer!! Thank you!